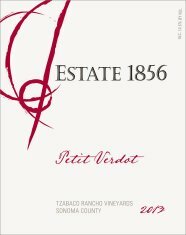 This 2013 wine, our newest vintage of Petit Verdot, continues to follow in the talented footsteps of our two previous award winning vintages, 2010 and 2012. Still young, yet already reflecting its beautiful heritage, we do recommend decanting and allowing the wine to breathe for at least 30-60 minutes. Food Pairing Suggestion: Try pairing this lovely wine with hanger steak with a shallot cherry sauce, or a garlic and rosemary infused leg of lamb.